Take advantage of our extensive experience and expertise in Model based Systems Engineering and Software Development to achieve all your project goals. 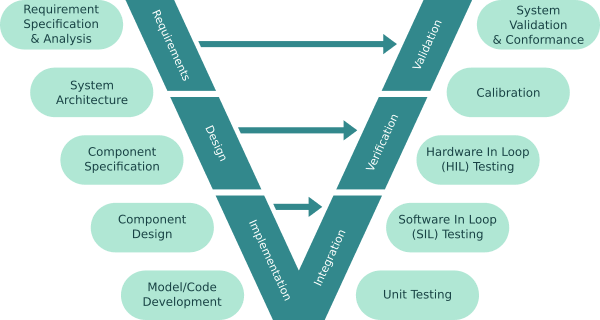 Single framework to intelligently utilize knowledge accumulated from program requirements and design to auto-generate test harnesses and manage entire Verification & Validation (V&V) workflow. Intelligent Search Engine for Systems Engineering needs, helping to search and reuse legacy components across engineering projects and thereby, save development cost. Scalable Cloud Simulation Platform for parallel processing of large engineering systems in native platforms and analyzing results faster. Intelligent Search Engine for Systems Engineering, helping to reuse modeling components across projects and update them to match the style guide. Rapid Simulation Cloud for parallel processing of large system models, receiving live simulation data, post processing and analyzing results faster. Integrated Test Framework to define test specification, link requirements, generate test harnesses, simulate, analyze coverage and manage V&V. Smart Platform for Systems Design and Modeling to specify complex engineering goals, design architecture, and auto-generate simulatable models. In today's Systems Engineering world, the product release cycles are becoming shorter, be it development of control strategies or physical models or validation of both. Our knowledge on Systems Engineering allows us to seamlessly understand the requirements from system engineer's perspective. Our efficient team of engineers with rich experience in tool development and automation will follow established processes, latest tools and technologies to automate engineering workflows in a shorter timespan. The embedded systems are getting enormously complex requiring detailed Verification and Validation (V&V) of systems' design and safety requirements. Our talented team of engineering professionals provide integrated and scalable solutions covering all the phases of Model Based Systems Engineering (MBSE) processes. Try our products for free, accelerate development and save project cost.